Buy a Home Mallorca is the international realtor with a Scandinavian heart. Within the company we have many years of experience in real estate, marketing, sales, legal know how. But most importantly we always put our clients first. With our large network we find the best properties for sale on the market and work hard to find your dream home. 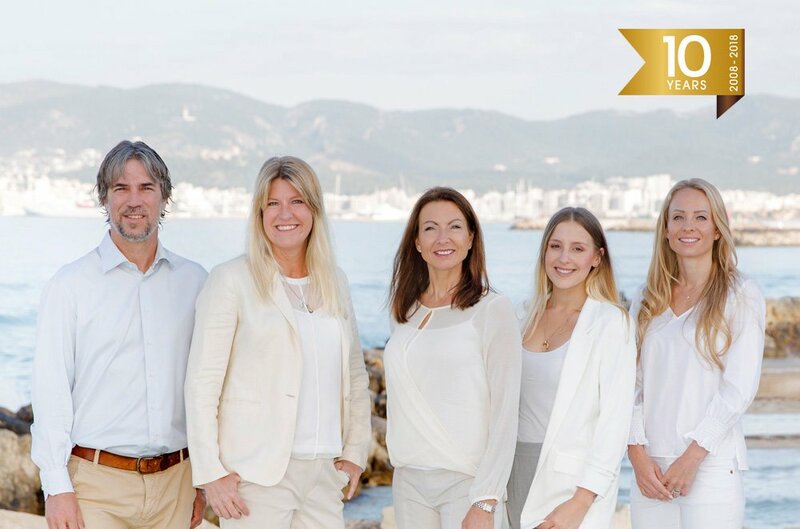 Our real estate team is multi-lingual in Spanish, English, Swedish, German, French and Catalan. Welcome to contact us, we look forward to help you find the place of your dreams in Mallorca. The real estate agency was born in August 2008 when Carin Isgård, together with a good friend decided to follow their dreams and start up their own business. Since the friend moved back to Germany in 2010, Carin has been the sole business owner. Starting out with only long term rentals the business has evolved and now includes two brands, Buy a Home Mallorca & Rent a Home Mallorca, two offices in Palma and a great team of professionals. And we keep on growing. Carin founded the company in 2008. She is the CEO of the company and also actively works as a real estate agent. In early 2007, Carin arrived to Mallorca and is still enjoying life down here on the island. 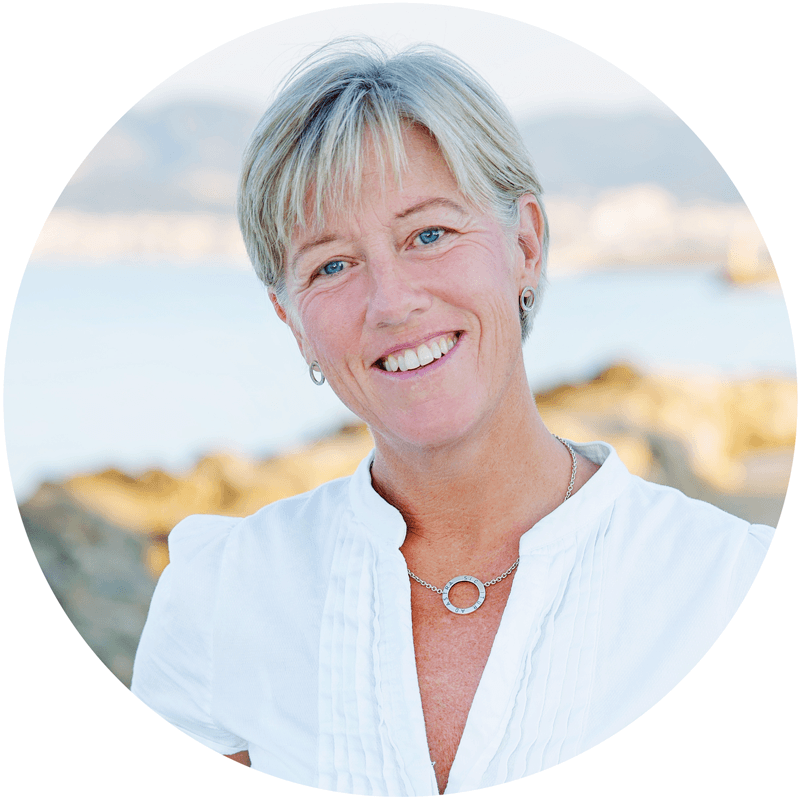 Carin is a Swedish qualified real estate agent that, before moving to Mallorca, worked in Södermalm in Stockholm. With an economist education, she worked in the sales and marketing business sector for many years, before she switched over to real estate in 2002. Carin loves to travel and has had the great pleasure of seeing many wonderful places around the world. But she feels Mallorca is by far one of the best places and where she feels at home. After having rented an apartment in the centre of the Old Town of Palma in the first few years, it felt like it was time to move closer to the sea. The choice was simple. Her love for the Portixol-Molinar neighborhood was instantaneous. It is an everyday luxury to have the Mediterranean Sea just around the corner, says Carin, who likes the freedom of being able to walk along the water for hours and to be at a bathrobe distance to the beach. Karin, who is originally from Växjö in the south of Sweden, decided early that she wanted to settle abroad. After living in many places around the world, she ended up in Mallorca in 1999, and felt straight away there was something very special about Mallorca. The diversity of the island captured her heart. 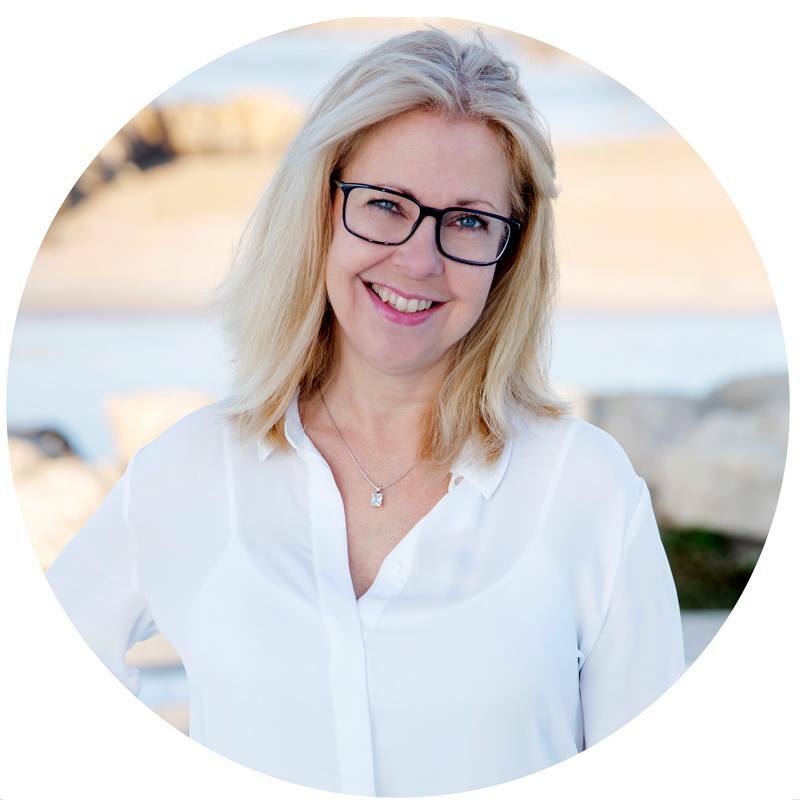 Karin has studied business and in 2000, she founded "Barskolan Academy”, a bartender school in Mallorca that later branched out to Miami, London and Oslo. After managing the school for 18 years, she felt it was time for new challenges, and since real estate always been a passion, the choice was easy and she joined our team as a real estate agent in early 2018. Karin still spends a lot of her free time exploring the islands many beaches and villages. A perfect day would be a hike in the mountains, a day at the beach or at sea, a stroll in Palma or a visit to a local market with friends, followed by a long lunch in the sun. She also enjoys travelling, fitness, music and gastronomy. Karin lives in San Agustin, together with her teenage daughter and their small dog. San Agustin has been her home ever since she moved to the island, and she loves being close to both Palma and the sea. Isabell is our Marketing Coordinator with focus on maintaining our websites, photo editing and creating content for all of our social media channels, among other things. She was born in Sweden, but also lived in Saudi Arabia before moving to Mallorca in 1993 with her family. If you ask Isabell, Portals Nous / Bendinat is the place to be. The nearby coves and beaches, the beautiful marina and the mix of both international and local people, makes it her first choice. 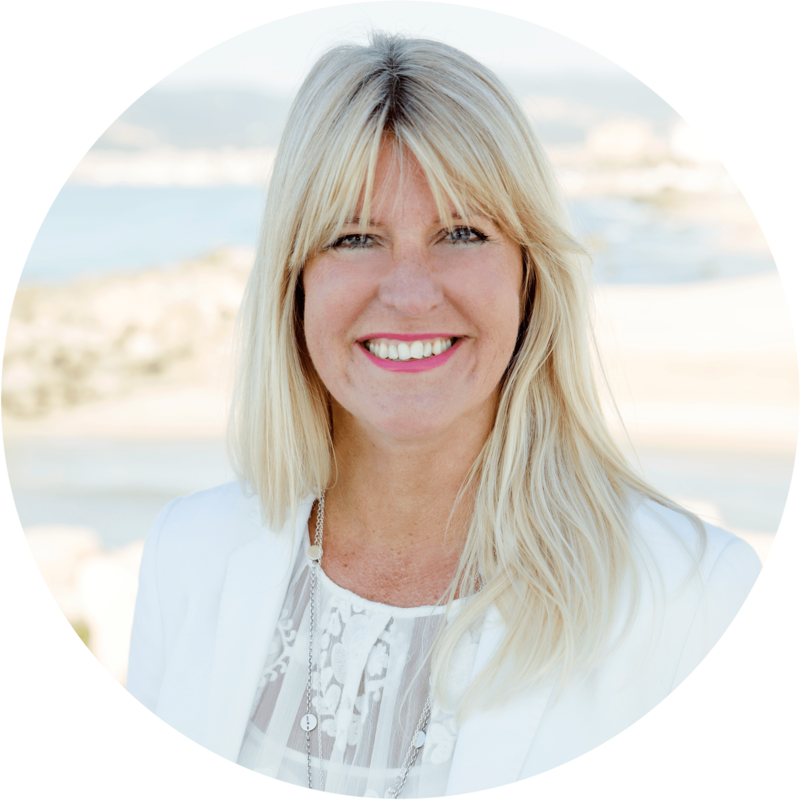 Isabell has a background in PR, events and marketing and also spent a few years as the Manager for our brand Rent a Home Mallorca. In her free time, she loves to spend time with her family and friends, hosting parties in her home and spending time in the beautiful outdoors. Anna is our Team Assistant, who serves clients as well as colleagues in our Molinar office. She is originally from Östersund in the north of Sweden, but has always had a great interest in other countries and cultures. She has, among other things, studied in USA and worked as a tour guide in both Bahamas and, best of all, here in Mallorca. 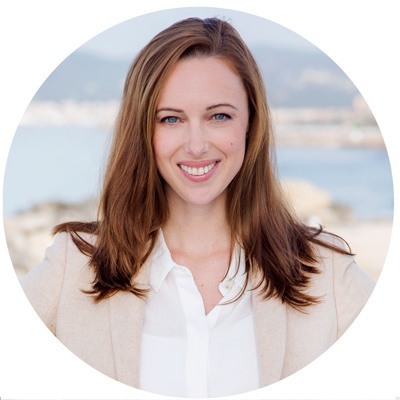 Anna has a long experience of customer service within the travelling business, but also as a self employed and when managing projects, and she knows the importance of customer care, no matter the line of business. She finds taking the step into the real estate business to be both exciting and inspiring. Mallorca has had a special place in Anna’s heart for more than 30 years, but three years ago she finally decided to move here permanently, and settled down in Son Armadams in Palma, where she has walking distance to both the city centre and the beautiful port. On her spare time, Anna enjoys going on excursions on the island, preferably to a lovely little “cala” or to one of the many local markets. Even though she has a lot of knowledge about Mallorca, she continues to find and explore new, beautiful places. Property management emergency number: +34 693 767 020. Lilli is responsible for our property management service. She has a long experience of working with people, as she previously worked as a special aid professional where she met many people in need of help and support and communication. 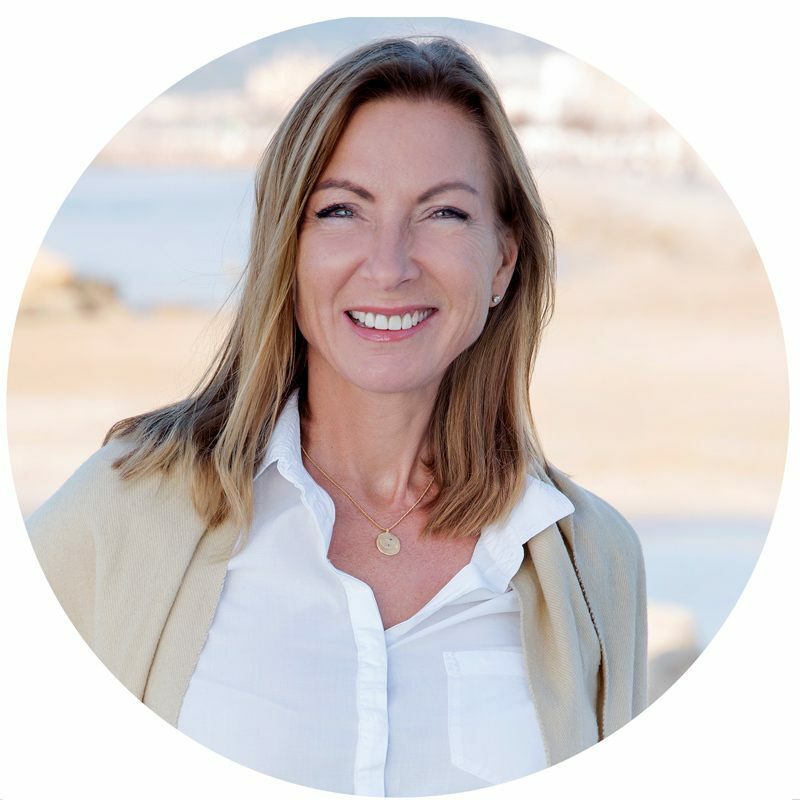 She has now changed her professional career but with her background she understands and listens to the client to help them with their home in Mallorca. To create a trustful relationship is one of the most important things for Lilli in her work. In 2010 she and her partner bought an apartment in Palma with the help of Buy a Home Mallorca. Spending more and more time on the island, she started to dream about living here. In 2015 she made the step and moved to Molinar, her favourite area. She finds that there is always something new to discover on the island, and loves to explore it. Among other things she likes the many markets, where you can make real discoveries. She especially likes the Sunday market in Consell. Lilli has always been a person who likes keeping fit. Early mornings with workouts or a run, and swimming in the summer, of course. But also going for a nice long walk along the sea with her dog Ebba, is most of the times just as lovely.